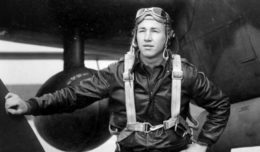 The U.S. military has found the remains of a World War II pilot who was last seen in a dogfight over Germany almost 75 years ago, the Department of Defense said March 8. 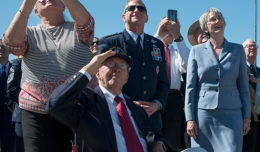 The Defense POW/MIA Accounting Agency confirmed this month that bone material and other evidence found in a farm field in northern Germany belonged to the 24-year-old airman from Harrisonburg, Va.
Until this month, Shank was among more than 70,000 American service members from World War II who remain unaccounted for. There are about 83,000 Americans still missing from past conflicts, according to the Defense POW/MIA Accounting Agency. The Americans had the coordinates for where Shank’s plane was last seen. They also found a witness who said he a saw the same type of plane crash in a field on a farm on the day Shank disappeared. They also found German records of the incident.